Humour | I'm hard of hearing, so what? Humour – I'm hard of hearing, so what? A lot can be said about the bureaucratic authorities, but one thing you normally don’t hear is that they have a sense of humour. Now humour is a matter of taste, but with a little imagination you can also find humour in these institutions. The following example shows what I mean. Personally, I find these examples funny, because of their boundless stupidity. At the same time they are also deeply tragic! It is particularly bad that such stupidity comes from these very institutions. It shows all the more how we, hearing impaired people, do not fit into the rigid rules of the institutions, but on which we are largely dependent. People with impaired hearing generally have a lot to take in. A joke about communication difficulties is quickly made. Or you have to put up with remarks like “Oh, you don’t hear it anyway”. Most of the jokes or remarks are made without further consideration and, although I have the opinion that you cannot be hurt without allowing yourself to be hurt, they can sometimes be painful, especially when it comes to losing the hearing ability of a person with impaired hearing or hearing loss. But, on the other hand, I can tell you that it is also possible to make fun of good hearing people in sign language! In the meantime, I have developed a thick skin and prefer to laugh at „hearing“ jokes. After all, you have to be able to laugh at yourself, don’t you?! Unless the jokes or remarks are deliberately mean and hurtful. Luckily, I haven’t experienced that yet. In that case, I really would have something to say! Jokes might not get through to people with impaired hearing because they don’t understand the joke or understand it too late. Look at the speech tempo of many cabaret artists … The tempo is usually very high: they want to make as many jokes as possible in a short time. And, I confess, most of the time they are quite right. If you would tell the jokes at a slower pace, there would be little left of the joke. It is also well known that cabaret artists usually use weaknesses as the starting point for their jokes. In my time as office manager of a theater, I saw many cabaret artists passing by and it seperates a good one from a bad one, who‘s jokes can be sharp but never hurtful. Of course, there are certain limits that cannot be crossed, but a good cabaret artist can look for the range of these limits. There is also an American TV series, for example, in which there are occasional jokes about a deaf actress. This deaf actress herself also gets ample opportunity to make fun of herself and other goodhearing people. I don’t find that disturbing. Whether you like the humor in this series or not, it’s not hurtful because both sides have fun. 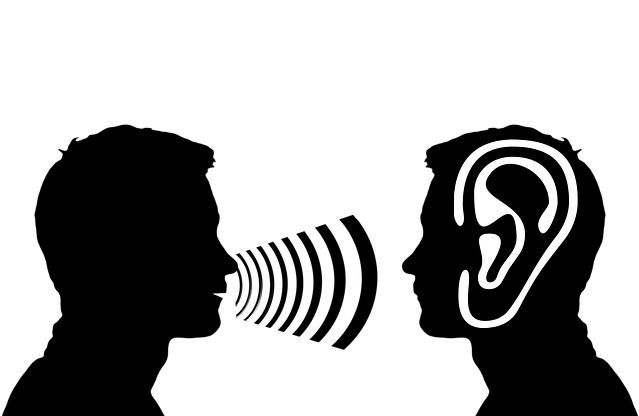 Unfortunately, there is often a great deal of mistrust on the part of those with impaired hearing. In the workplace, for example, a deaf person may feel excluded when colleagues laugh about something. The idea that she, the deaf colleague or the deaf colleague, is laughed at, even though this is usually not the case, can quickly arise. For us, the hearing impaired, it is of course sometimes difficult. Nevertheless, I can recommend everyone: life with an impairment is often serious enough, so take it with a little humour!